Touch ‘n Seal mining products offer simplified, safe solutions to the mining industry and are self-contained, portable, and disposable. 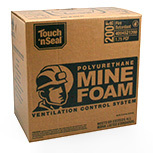 Touch 'n Seal Polyurethane Mine Foam effectively seals air leaks around mine stoppings, overcasts and undercasts, utility chases and other ventilation control components. 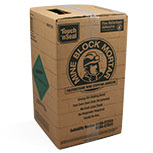 Touch 'n Seal Mine Block Mortar bonds concrete and lightweight Autoclaved Aerated Concrete (ACC) blocks used for underground coal mine ventilation stoppings. 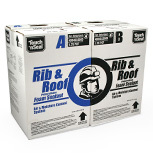 Touch 'n Seal Rib & Roof Polyurethane Sealant is a non-structural, two-component expanding foam that isolates coal seams from air and moisture to reduce scaling and spalling.